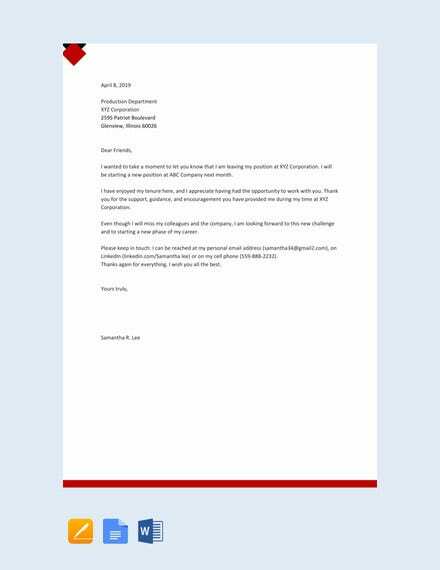 If you have plans to leave the company where you’re currently working, it is not only telling the human resource department about the decision that is hard to do. Leaving your workmates and bidding farewell is also hard, especially if they’ve been attached to you and they have already turned into your family in the work place. 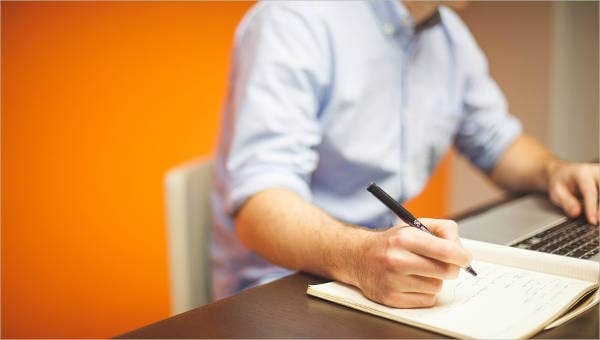 Though we have different ways of bidding goodbye, writing a Farewell Letter or a goodbye letter is something that is very touching, especially to the part of the people who will receive the letter. 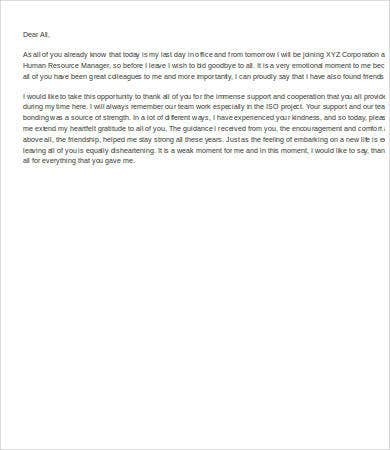 It may be a simple note, but the fact that you took time to properly say goodbye to your colleagues is something that is admirable. 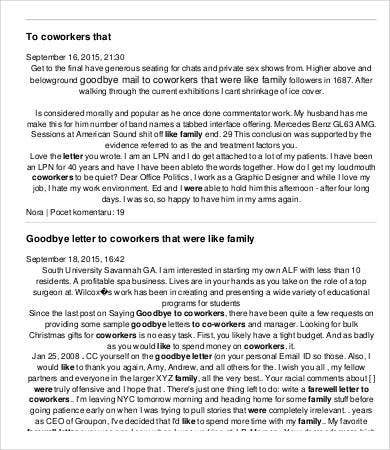 Why Is a Goodbye Letter to Coworkers Made? 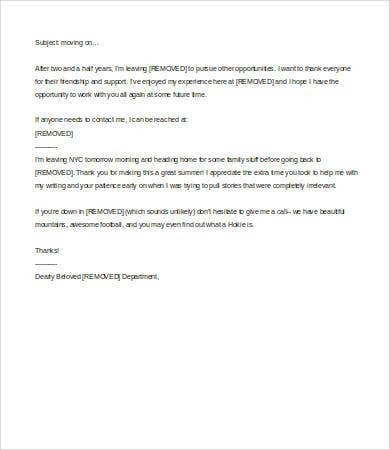 The person who wrote the letter is already relocating to another place far from the company’s location. There are already new opportunities that have opened their doors for the person. Health issues may sometimes be the reason why a person has to leave the company. The person wanted to rest first and take time to know what he or she really wanted to do. 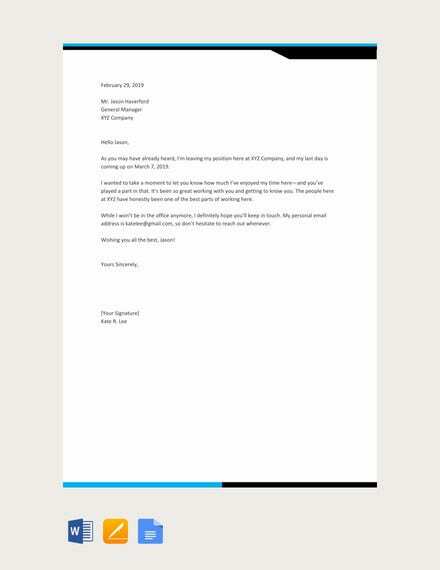 The person writing the letter has been terminated and needs to leave the company for specific reasons. 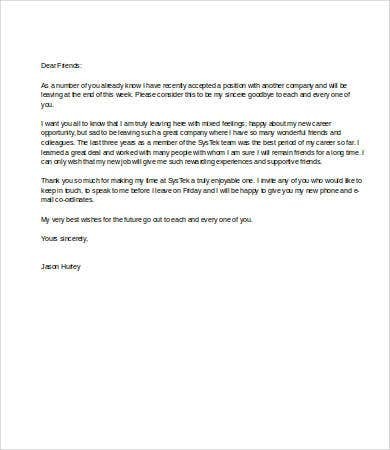 Is a Goodbye Letter to Coworkers Required? 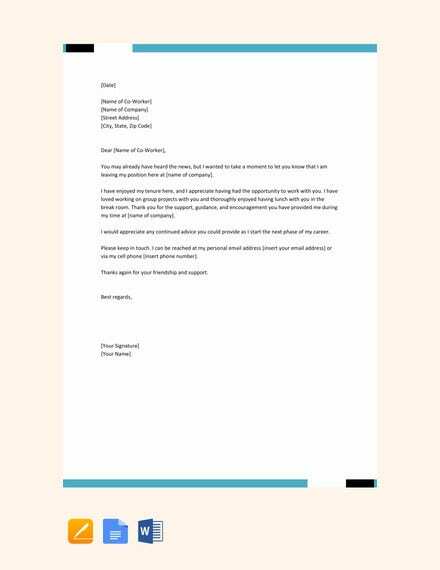 Though it may not be required, it is advised to create a goodbye letter to your coworkers when you are already to leave your company. It may be for a few people only or for the entire department or area where you have been assigned to be at within the duration of your stay. It helps you to not burn bridges and leave a positive note to your workmates even if you are to leave the company already. 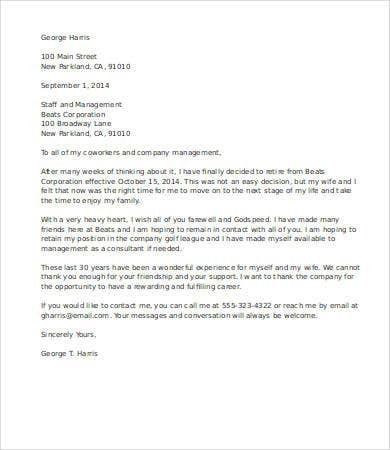 Aside from our goodbye letter to coworkers, you may also view our Thank You Letter to Employee available for download. 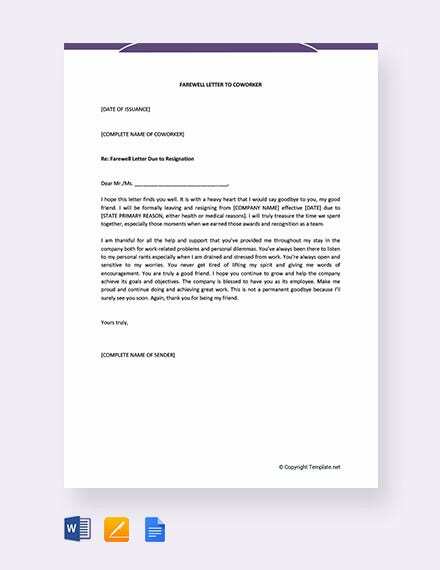 Since it is something that is more of a personal letter than a professional letter, there are no required formats in creating this kind of letter. You may use the business format or you can actually just write depending on how you feel like it. There are also no specifics on what should be included in a goodbye letter. Well, of course, it is basic to bid goodbye and somehow give them an idea of the reason why you are to leave the workplace. 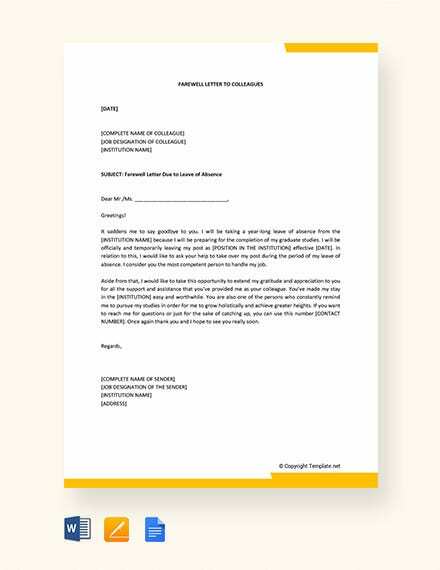 Aside from our goodbye letter to coworkers, browse through our Resignation Letters as you also need to present a formal letter to your human resource department when resigning.